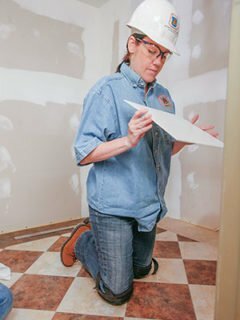 INSTALL certification is one of the most important tools a flooring installer can bring to the jobsite and is a badge of honor respected throughout the industry. Successfully completing our INSTALL training and testing program does not mean you will become a certified installer; each floorcovering certification has to be individually earned by demonstrating mastery of the specific skill-sets. INSTALL certified professionals have the reputation of being the best, most skilled floorcovering installers in the industry. With so many floorcovering accreditations and certifications out there, why should you go through the effort of gaining INSTALL certification? INSTALL certification shows potential employers and customers that you have mastered the necessary installation skill-sets and take pride in the work you do. Completing our testing program proves you have knowledge and skills you need out in the field. Why Call for Certified Installers? Adding INSTALL certified installers to your specification means your client can rest assured that the floor will be delivered as promised and as expected. For owners, turning to INSTALL certified installers means not having to worry about re-installations or repairs that cause downtime and can negatively affect your business success. Manufacturers know that INSTALL certification means that their products will be installed to exact specification, ensuring it will perform as designed. Consistent quality installations give your products the best possible chance for success. As a contractor, having INSTALL certified installers on your team means that you can be confident that the job will be done well and done right the first time, every time. There also is great marketing value in being able to say that your installation crew carries the ultimate mark of quality in the flooring industry.